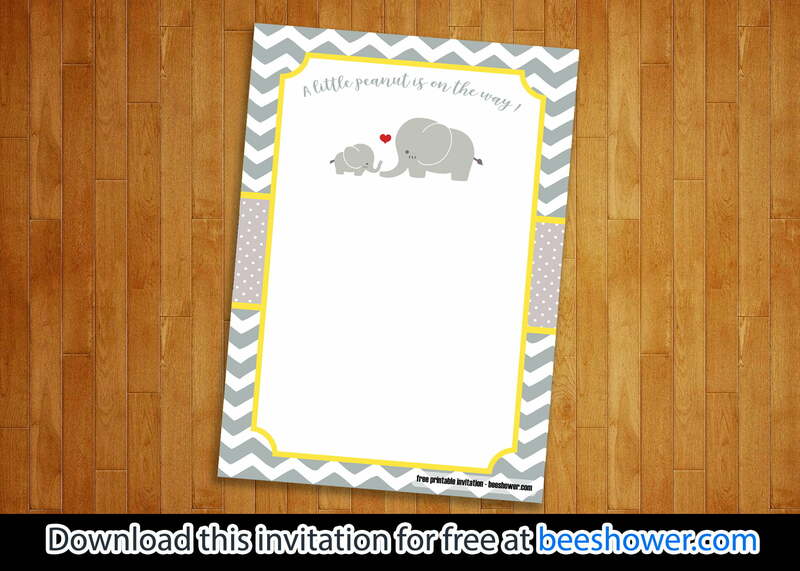 Nobody has ever thought that yellow and gray are two colour choices that can make a great invitation. You do not believe it? 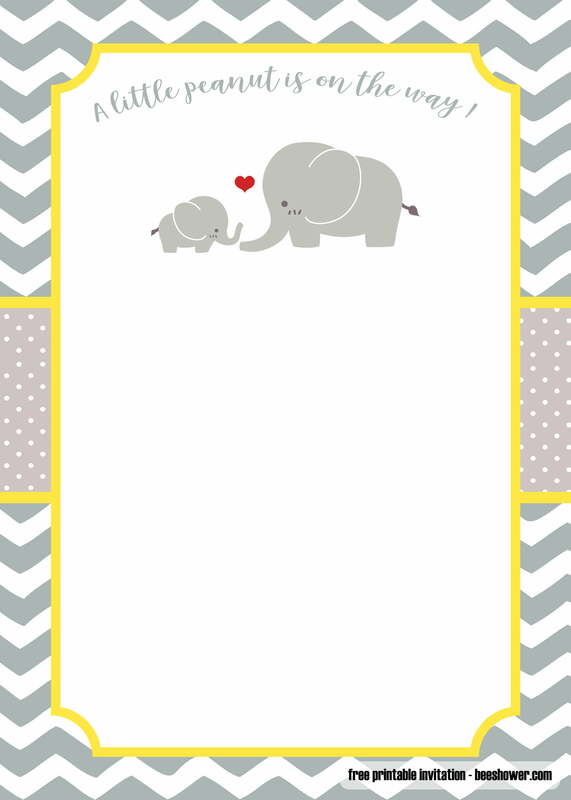 Then let this yellow and gray baby shower invitations template change your mind. 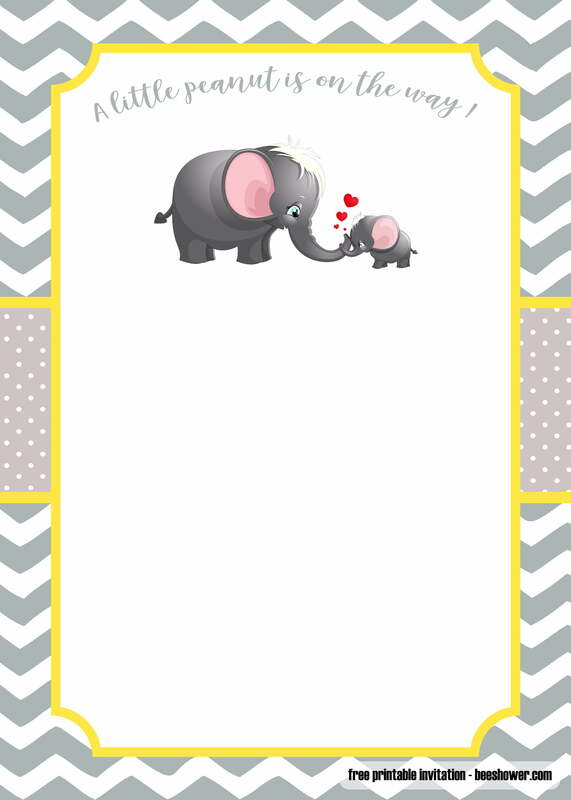 This template is simple and is not unwieldy, two things that all invitations should have. 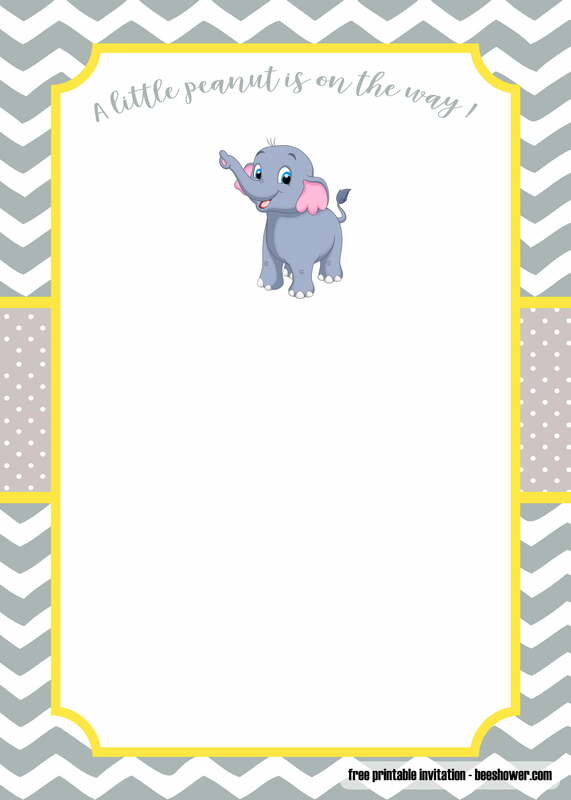 It is not hard to read, it is easy to edit, and there is just enough space between each text and each item within the template. Perfect if you want to bring guests in while also keeping things simple. WARNING: THIS TEMPLATE IS NOT FOR COMMERCIAL USE. Now that the warning is taken care of, the next thing that you should do is to download it. The downloading process should not take too much of your time seeing that this file is sitting only at 494 kb (most modern websites contain items that are larger than that). After the downloading is done, editing comes next. This template is also a very nice template on the merit that it is highly editable. You want to switch that elephant out for other animals? 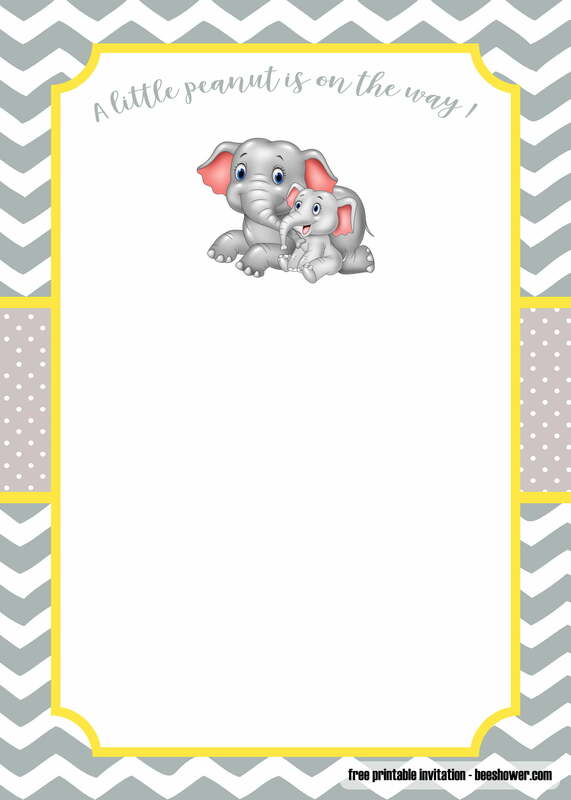 You can do so and this yellow and gray baby shower invitations template would not its balance. As long as you keep to the yellow and gray, you can do pretty much anything with it. Use programs like Photoshop or other photo-editing programs to edit it. The printing process is definitely the most complex process from all of them, especially if you are printing a whole lot of it. For the best result, use photo printers and glossy papers. 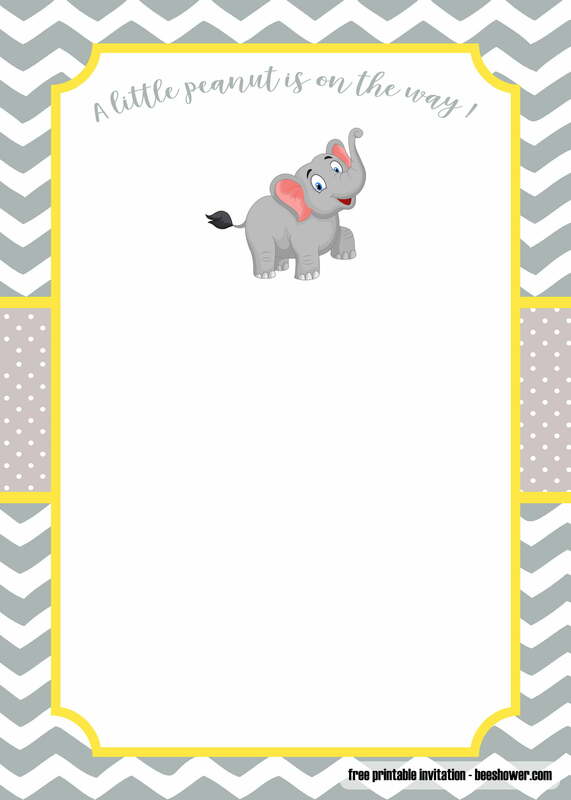 The reason why you should use glossy paper is simple: glossy papers make colours pop, and because the contenders in this yellow and gray baby shower invitations are those two colours, you want to make sure that the colours show itself up.